How could the Dutch economy get out of its current slump? Are the current budget cuts going too far or do we need even more austerity measures? Will the Dutch housing market recover? How reliable are econometric forecasts? How can the models underlying these forecasts be improved? While one might think that each of these questions by itself was complex enough, Coen Teulings managed to address all of them in this year’s TopQuants key note. The University of Amsterdam professor of Economics and former director of the Centraal Planbureau (CPB, the Dutch Bureau for Economic Policy Analysis), is well-known for his outspoken criticisms of the post-2008 austerity measures. But Coen’s presentation at the TopQuants event covered besides the optimal timing of austerity also a range of other topics, including the pros and cons of different pension schemes and the role of Bayesian methods in economic forecasting. Albeit himself not a quant, Coen clearly enjoyed explaining to the quant audience at this key note event his analysis of the state of the Dutch economy and his opinion on the policy measures it requires. 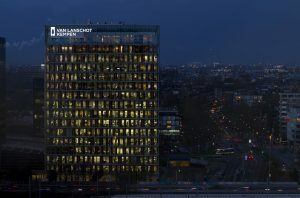 In a terminology very akin to that spoken in banking, he described the Dutch balance sheet as “long pension claims – long real estate – short mortgages”. With a wink, he said that in this respect the Netherlands looked like “one big hedge fund”. He stated that reductions in mortgage deductibility should go hand in hand with budgetary expansion and structural reforms of the Dutch housing market, arguing that a higher share of commercial rental housing would make the Dutch economy as a whole more flexible. Coen also expressed his opinion that – in the light of financial market volatility – it was time to reassess the pros and cons of pay as you go and funded pension schemes. This combination of topics from economic research, econometric forecasting and quantitative finance dished up by Coen clearly matched very well the taste of the audience. It triggered questions by several of the over 100 attendees already during the presentation and was followed by an equally lively panel discussion. TopQuant Bert-Jan Nauta facilitated the discussion by confronting panel members with a number of statements and asked them to comment. All panel members agreed that econometric forecast models failed abominably in the crisis year 2008. Nonetheless, Sandra Muijs (Head of Model Development at SNS Bank) pointed out that the credit crunch had made decision-makers in finance more aware of model risk, which in turn had made it easier for quants to discuss model risk uncertainty with senior management. Robert Daniels (Senior Client Risk Manager at Cardano) argued that most professionals in finance had lacked the imagination to include a scenario similar to the credit crunch in their simulations prior to 2008, and if they did had grossly underestimated its probability and impact. He recommended that we “shift the discussion from how likely something is to what we would do if something happened”. Similar to other TopQuants events, the panel discussion was followed by complimentary drinks and snacks during the informal networking part. TopQuants are grateful to SNS Reaal for sponsoring and hosting the event. In particular, we would like to thank Pim Poppe for his kind words of welcome. Special thanks go to the key note speaker, all panel members as well as to the quant audience for making this another successful TopQuants event. More information on this and future events will be published in the next TopQuants newsletter.